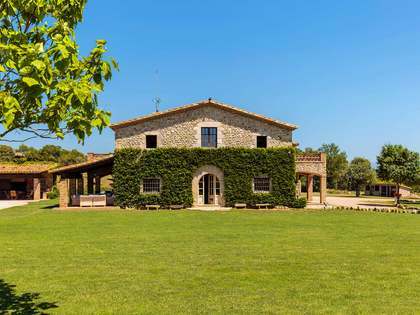 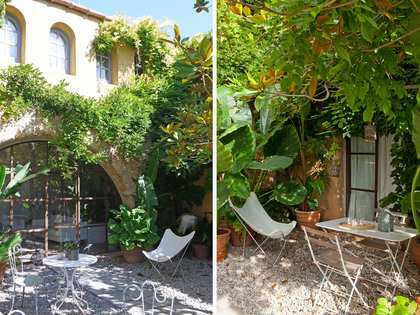 This exquisite Girona country property to buy is one of the region's standout luxury properties. 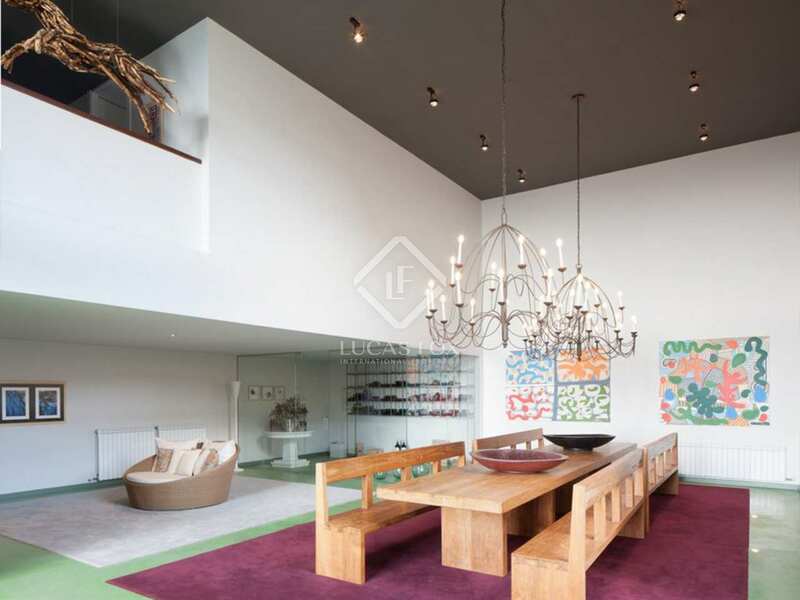 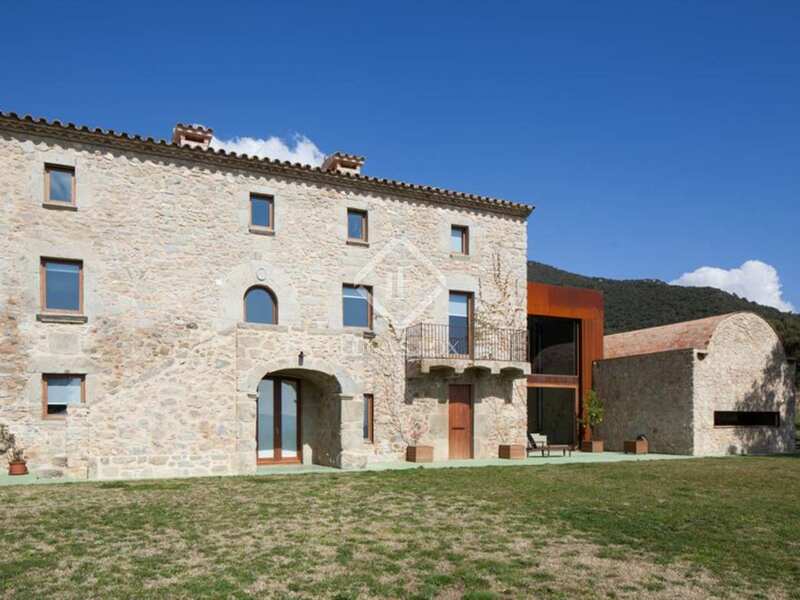 Superbly renovated and located in 148 hectares of private land, this magnificent 2000m2 mansion is located in the beautiful surroundings of the Spanish Pyrenees, just 25km from Figueres. 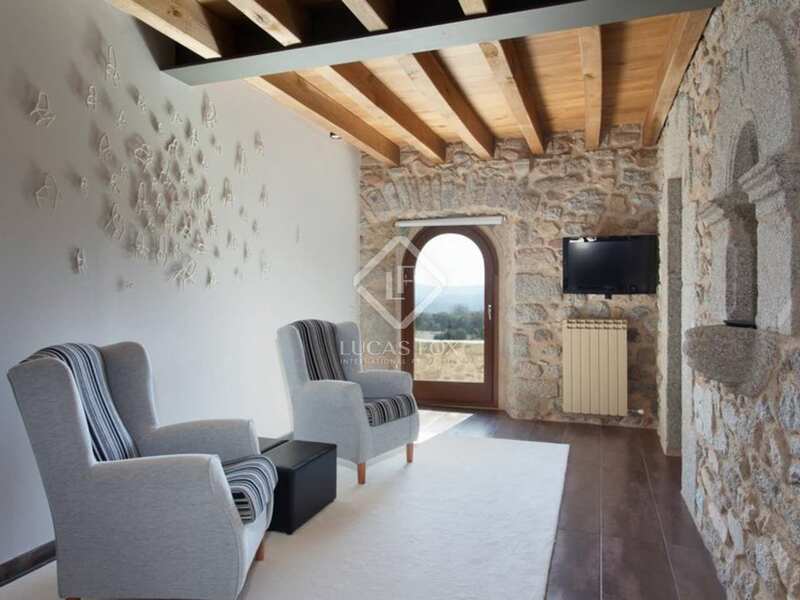 The estate - which borders France and includes the ruins of an ancient castle - enjoys breathtaking views and offers complete privacy and tranquility. 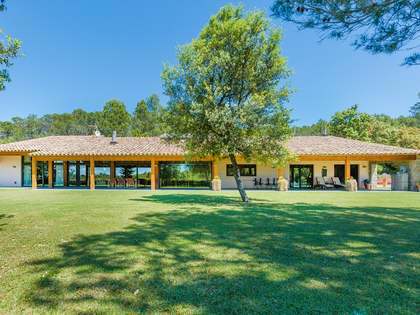 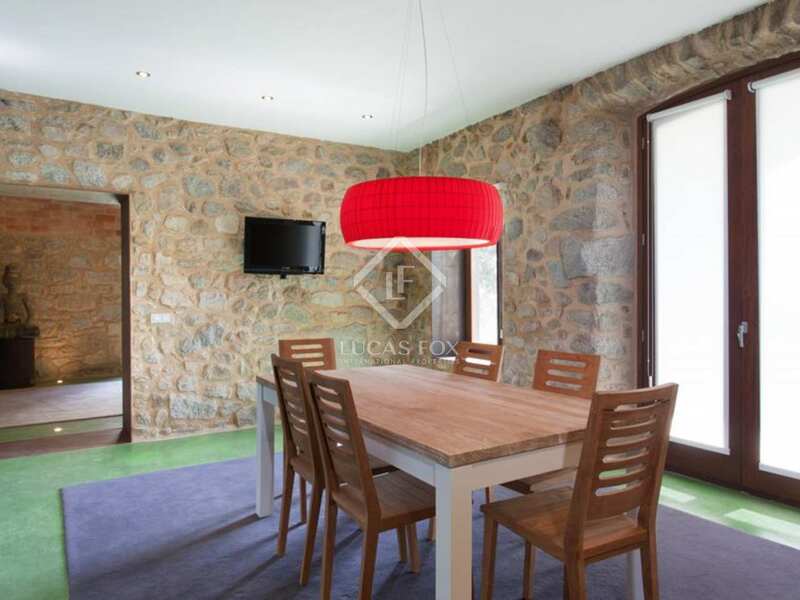 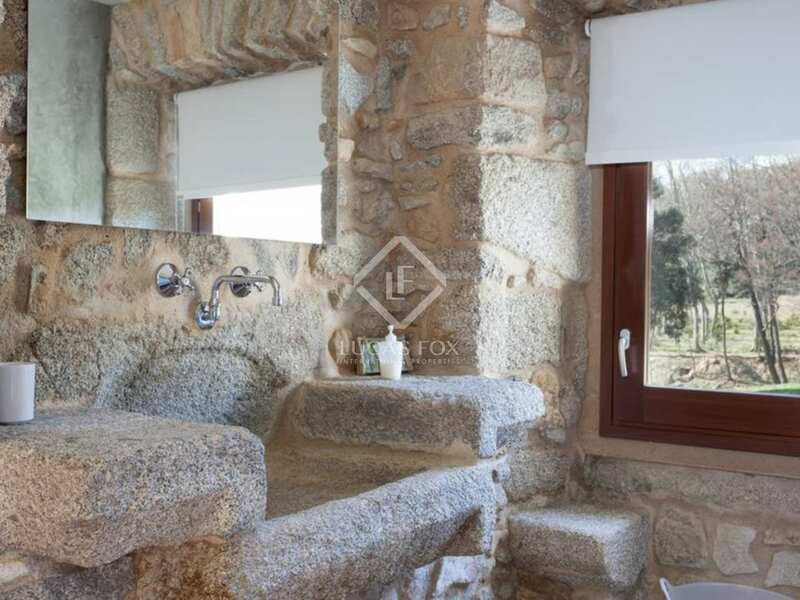 The property is just 2km from the nearest village, 40km from the nearest beaches of the Costa Brava, 70km from Girona and its international airport and 170km from Barcelona. 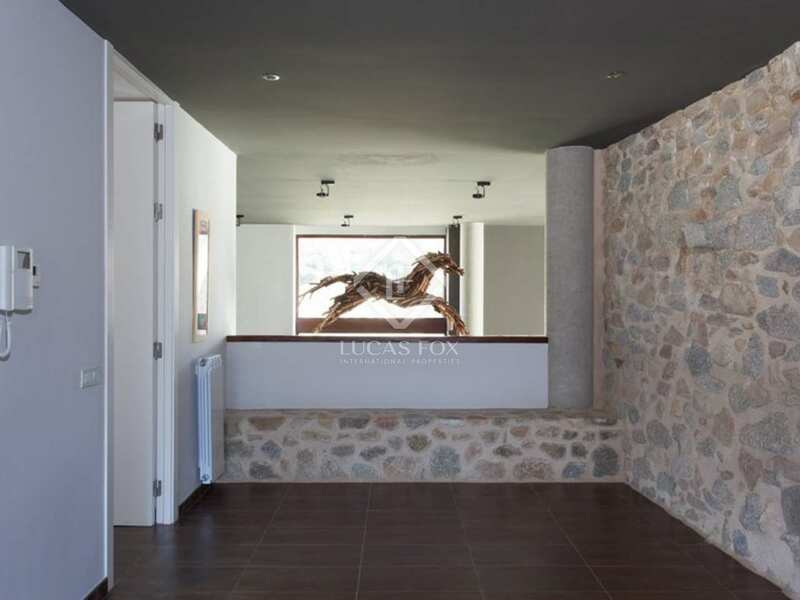 The property was fully renovated by its current owners, a project that took 3 years to complete and was finished in 2012. 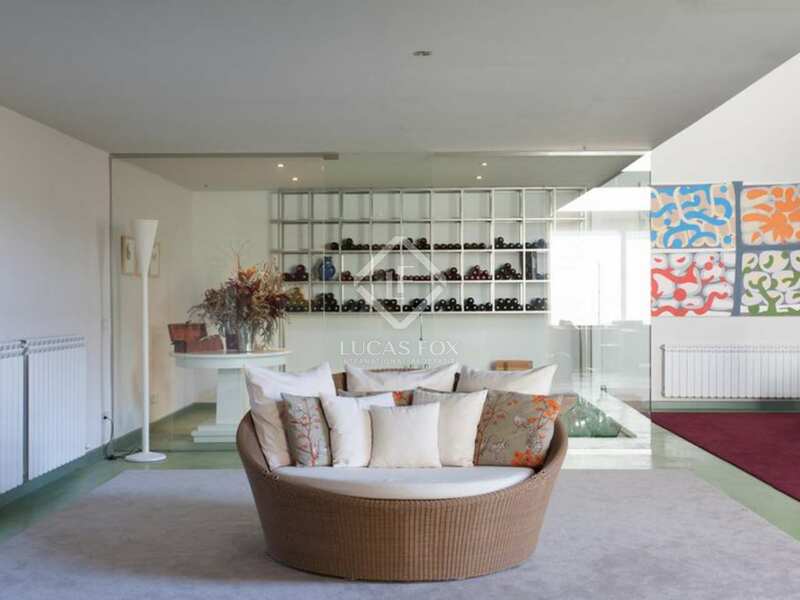 The restoration was undertaken using the highest quality materials and has been finished with the finest luxury fittings and furnishings. 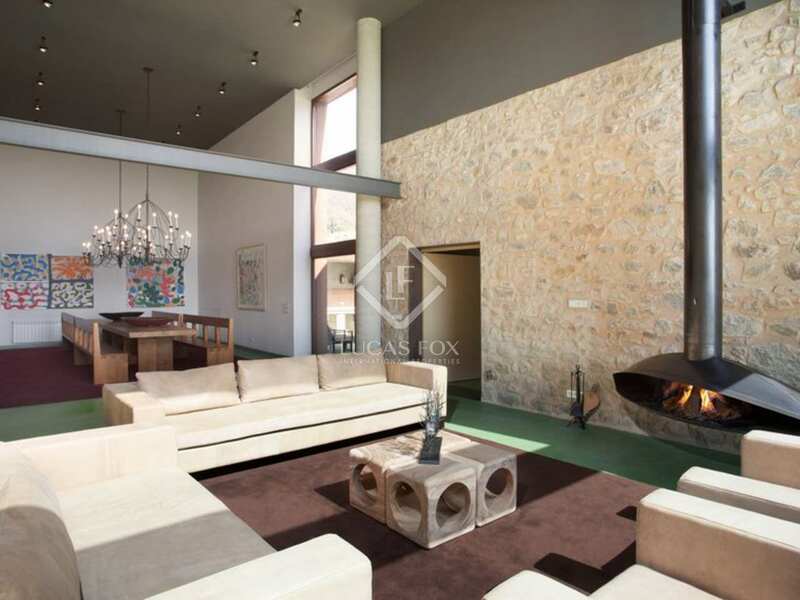 The estate includes the main house, offering 6 bedrooms and 6 bathrooms, a adjoining 3-bedroom staff house / guesthouse, and a garage for 4 cars. 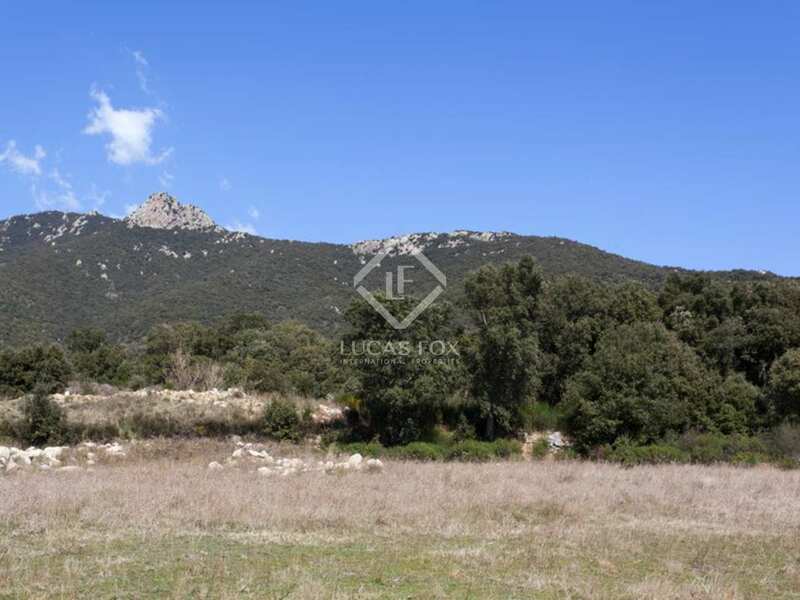 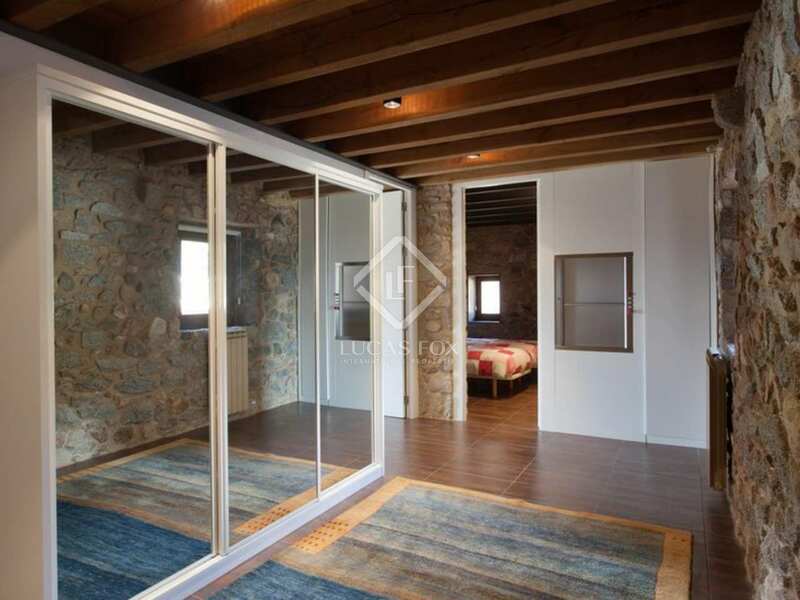 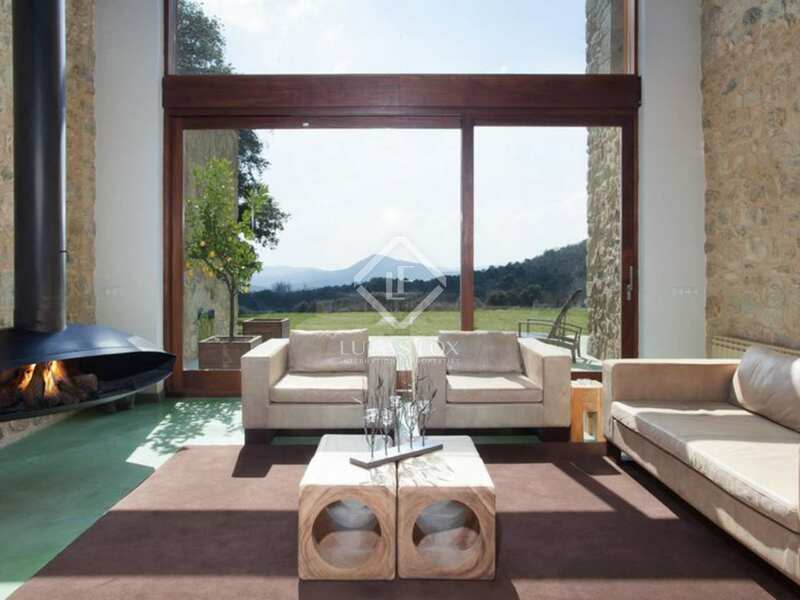 The property has a southerly aspect and enjoys exquisite, far-reaching views across the Spanish Pyrenees and over the hills of the Alt Emporda. 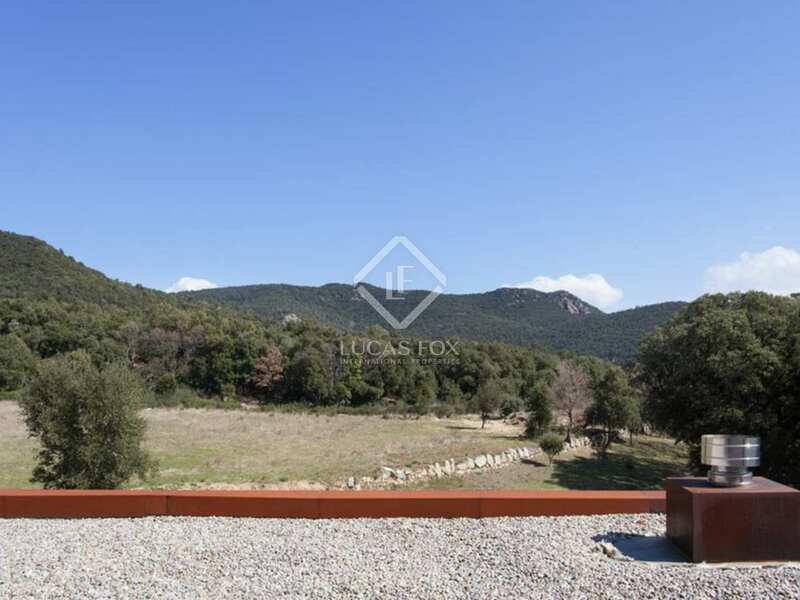 Water is drawn from 2 private wells and whilst the property is not yet connected to mains electricity a project has been approved to connect the property to the network. 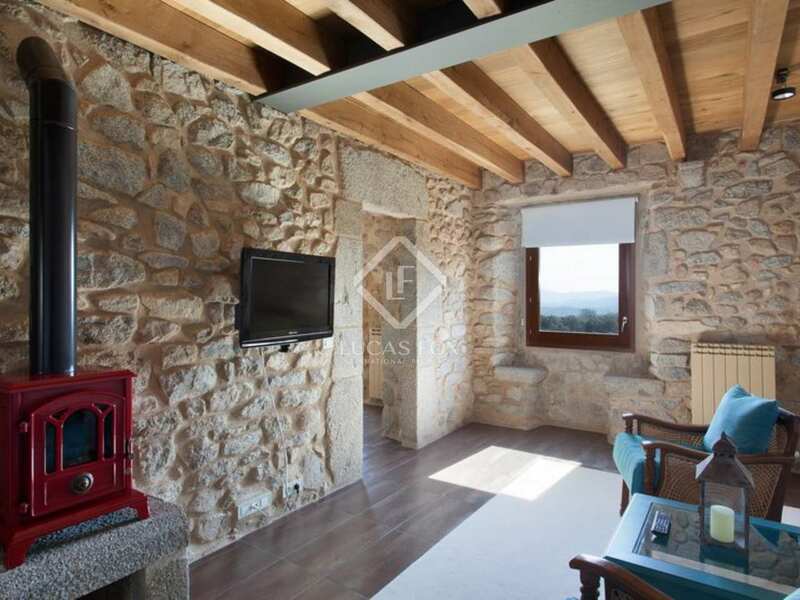 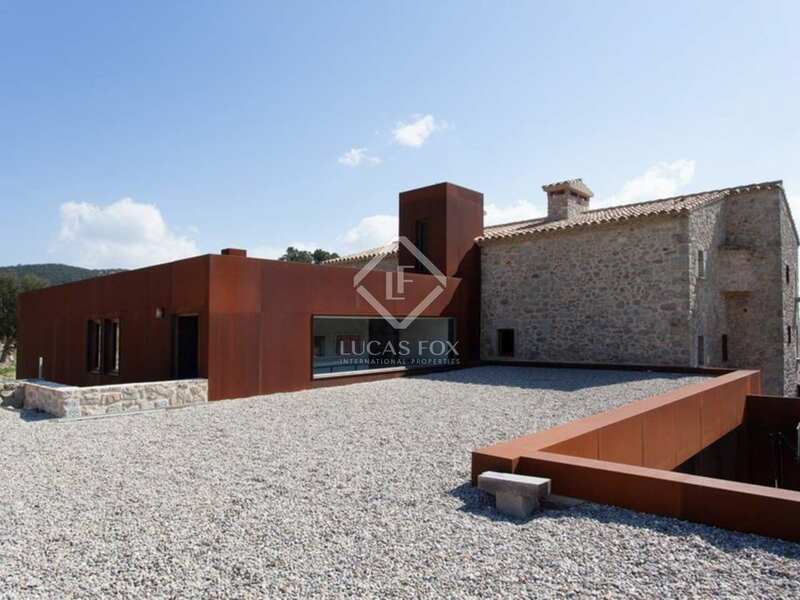 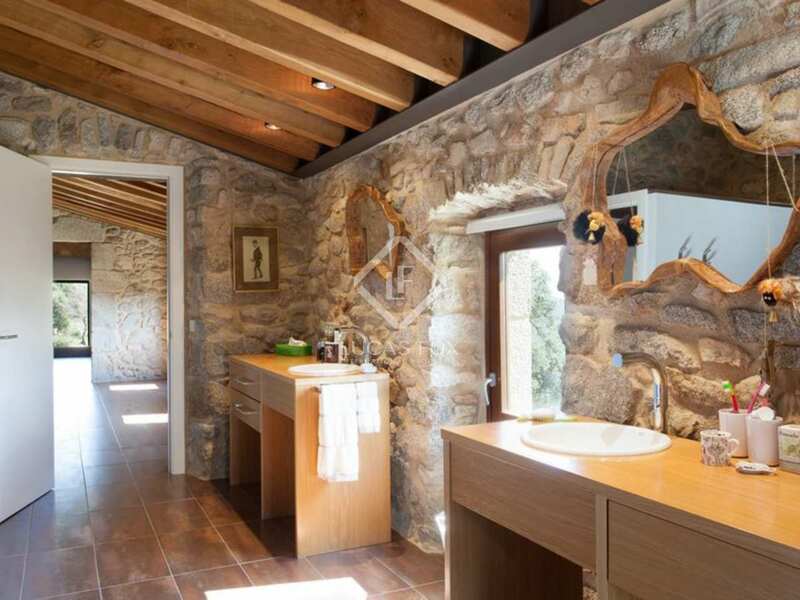 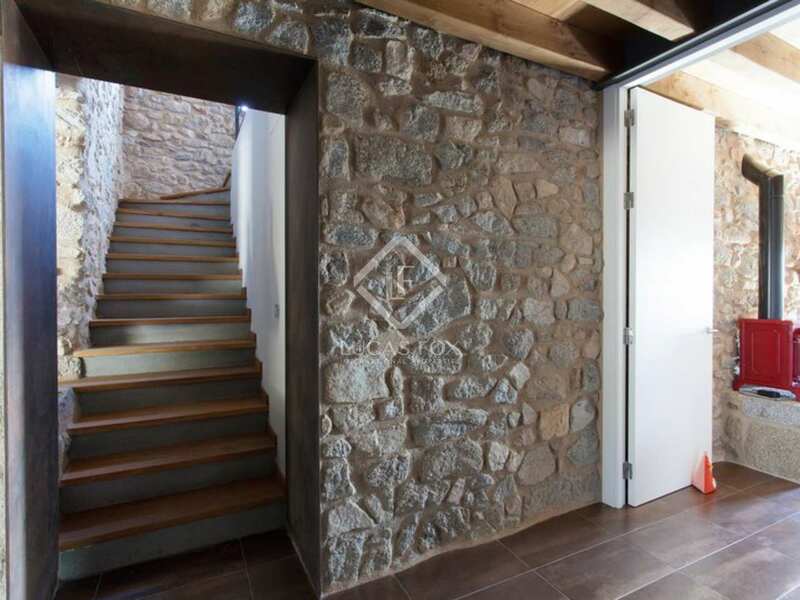 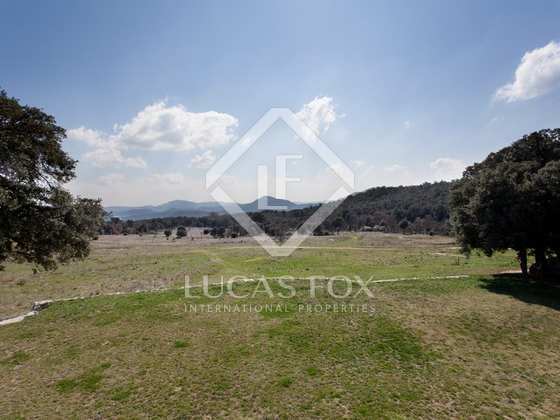 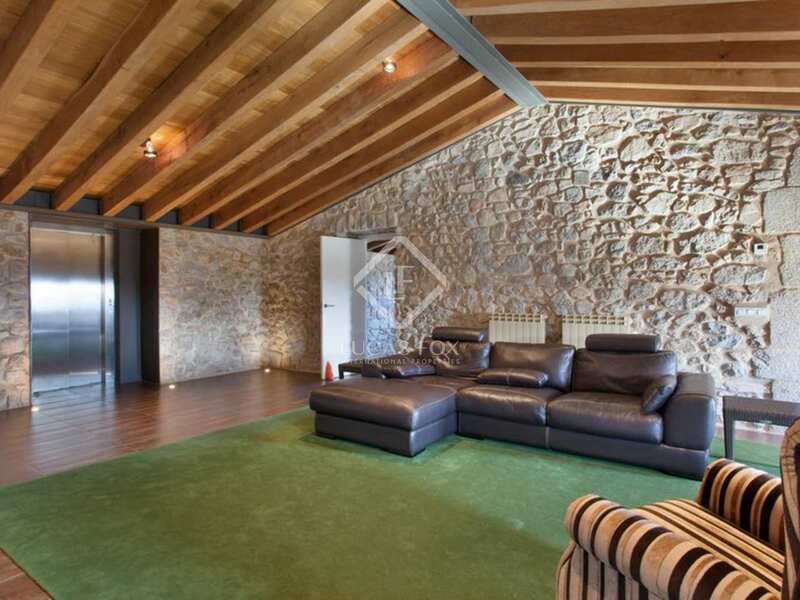 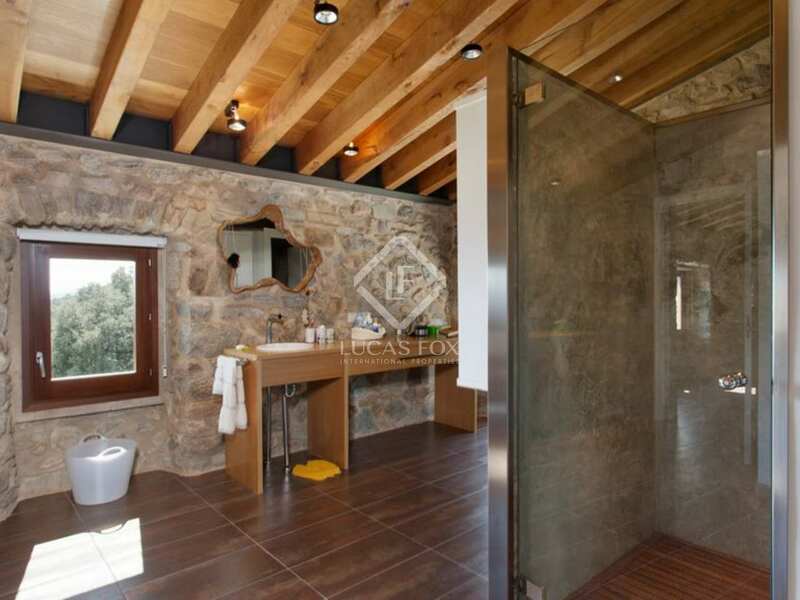 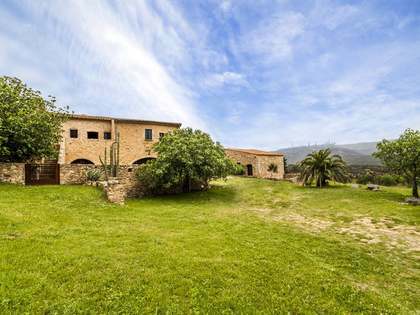 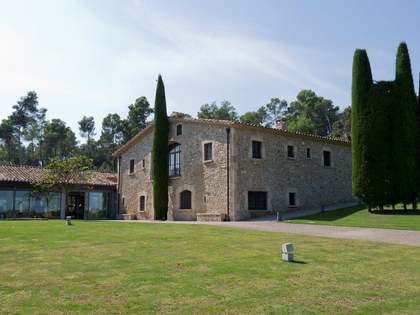 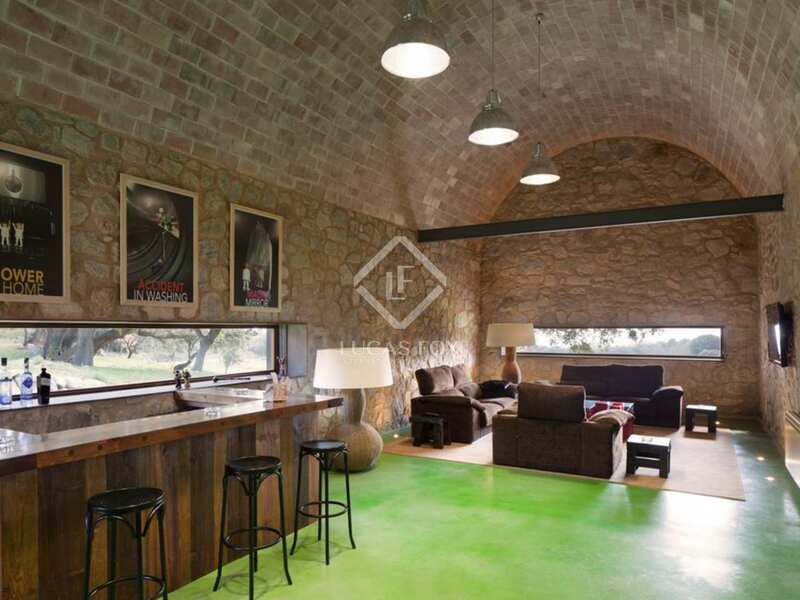 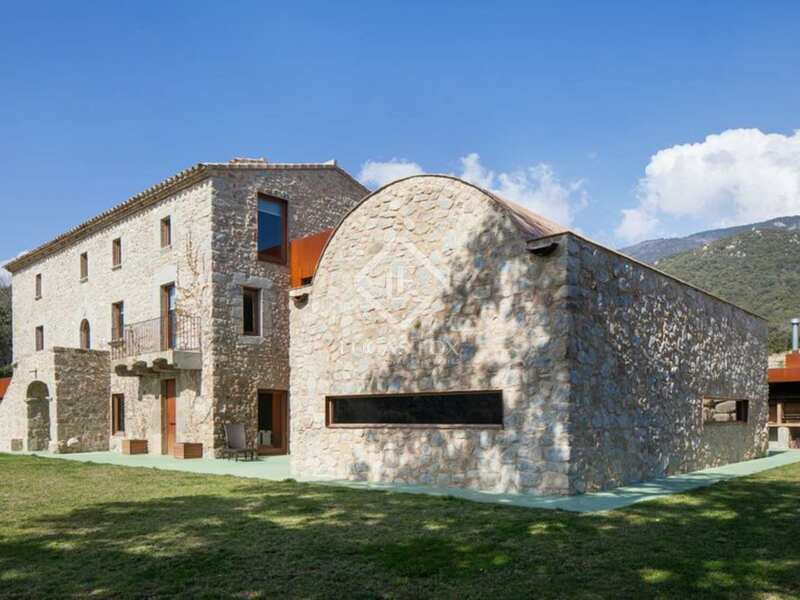 View more luxury Girona country property to buy. 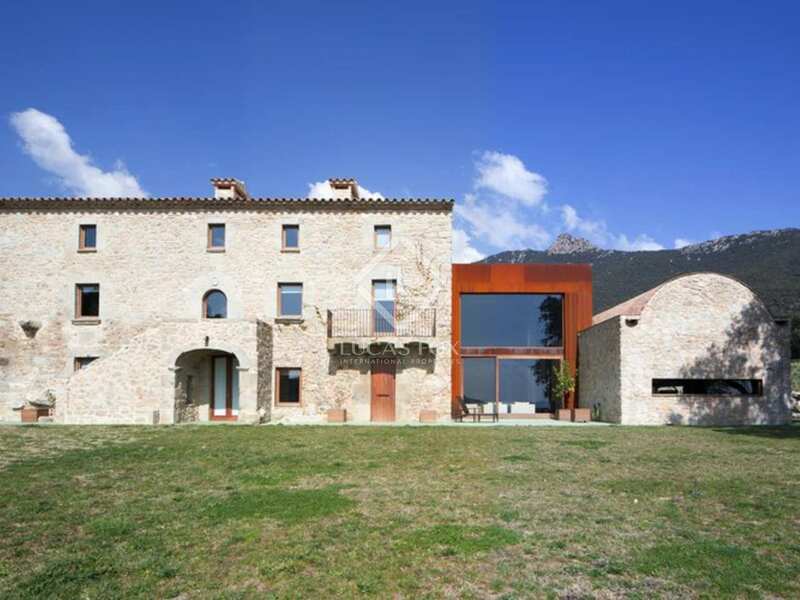 The estate is located in the Spanish Pyrenees, its northern limit bordering France. 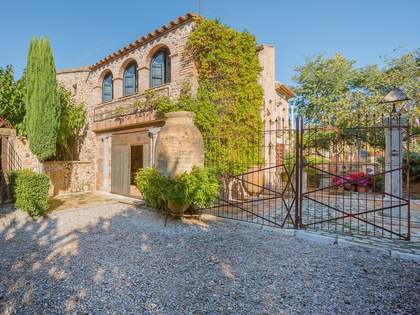 The house is just 2km from the nearest village, 25km from Figueres, 40km from the nearest beaches of the Costa Brava, 70km from Girona and its international airport and 170km from Barcelona. 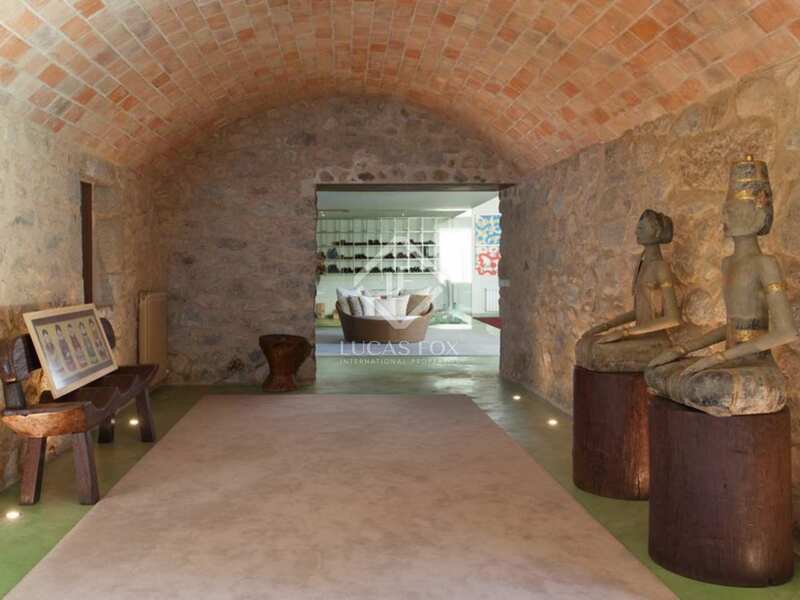 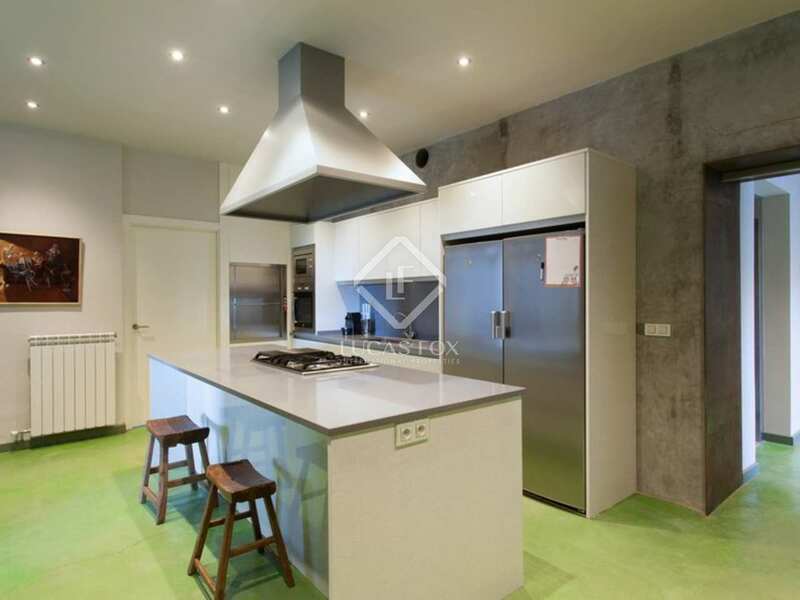 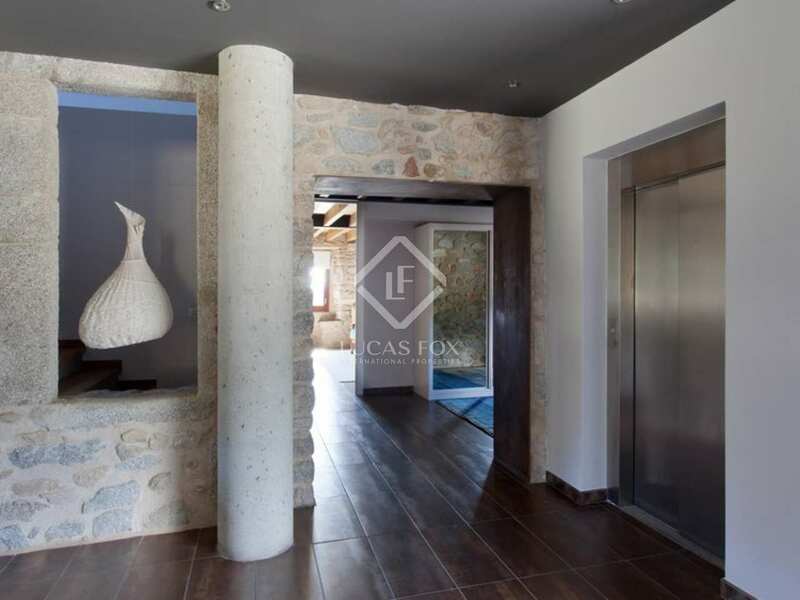 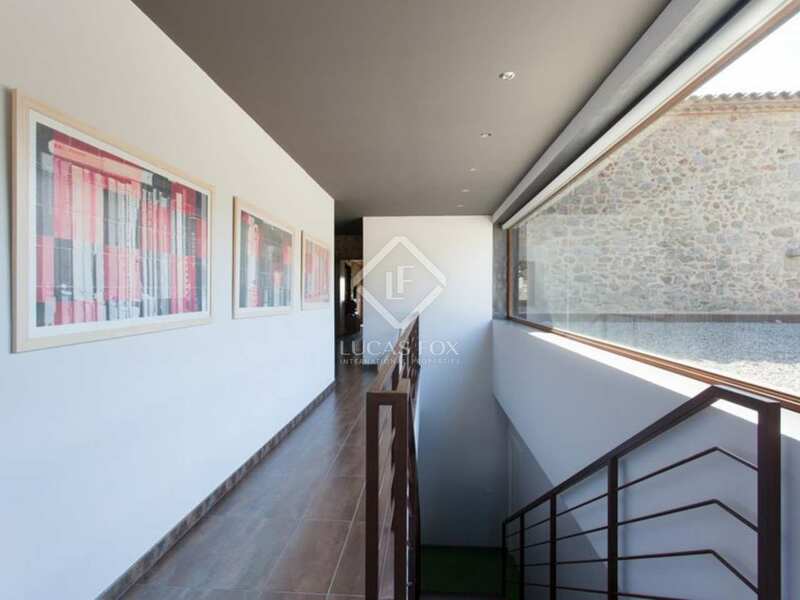 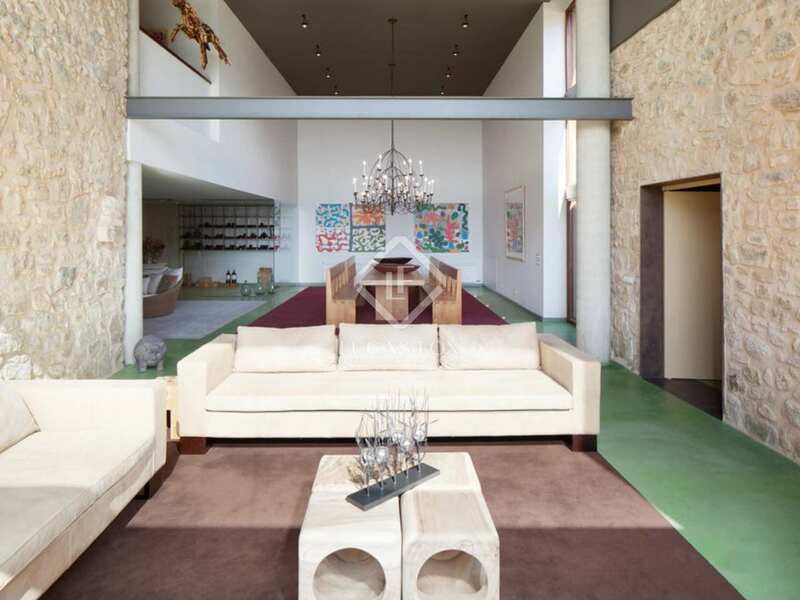 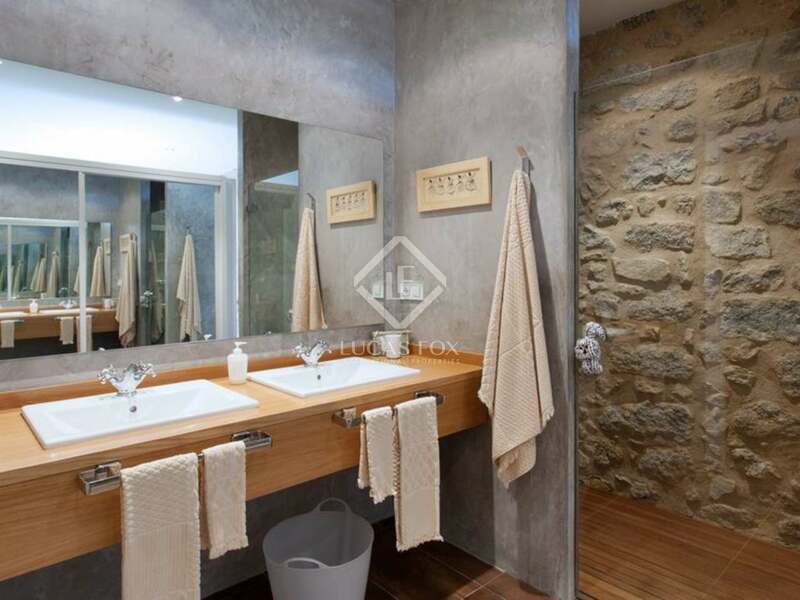 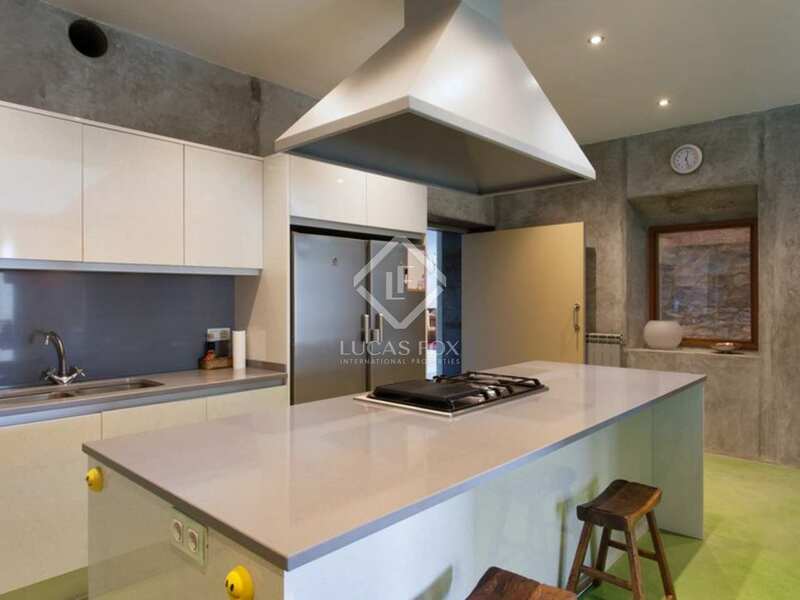 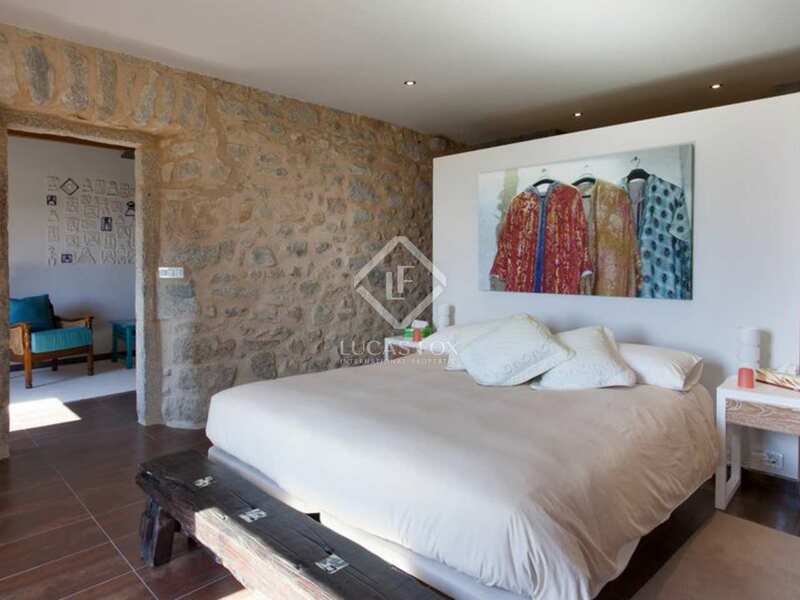 View more luxury Girona property to buy.